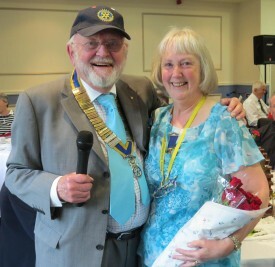 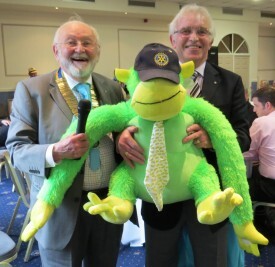 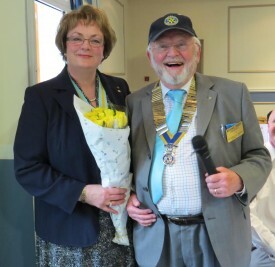 The very successful occasion was attended by representatives from various clubs in District 1060, including Assistant Governor Carolyn McLaughlin and the President of Warwick Inner Wheel, Pat Sweet. 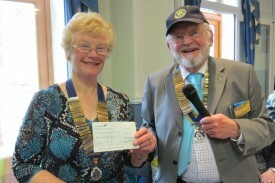 After the meal, Mike presented cheques to the representative of Leukaemia & Lymphoma Research, his chosen charity for the year, and to Warwick Inner Wheel in appreciation of their assistance throughout the year. 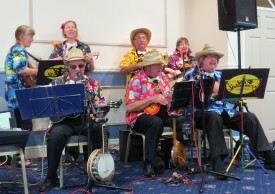 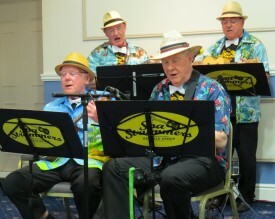 The enjoyable entertainment that followed was provided by the Spa Strummers, a local ukulele band who provided a selection of foot-tapping and arm-waving music. 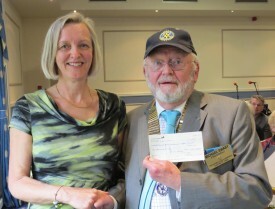 A draw prize being handed over to David Brain from the RC of Henley-in-Arden.